Trevecca Nazarene University and our School of Graduate and Continuing Studies congratulates all non-traditional undergraduate students named to the Dean's List during the Spring 2018 semester. To be named to the Dean’s List, each non-traditional undergraduate student must have completed 12 or more hours between Jan. 1 and June 30, 2018. Students must also have attained a grade point average of 3.50 or higher on a 4.00 grading scale during that timeframe. 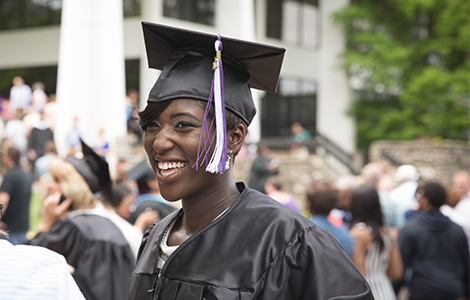 Trevecca encourages you to share the news of your achievement with your hometown newspaper or on social media sites. If you need information about how to contact your local newspaper, visit www.usnpl.com.